These pail liners are generously sized and made to last! Gone are the worries of rubbing and wea.. 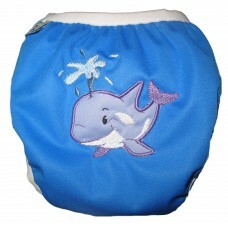 Pale blue washable swim diaper with a cute crocodile applique.Shipping Note: We can ship swim d.. Dark purple washable swim diaper with cute crab applique.Shipping Note: We can ship swim diaper.. 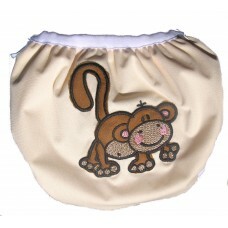 Gentle beige washable swim diaper with brown monkey applique.Shipping Note: We can ship swim di..
Turquoise washable swim diaper with the cutest little blowfish applique.Shipping Note: We can s..
Yellow washable swim diaper with swimming turtle applique.Shipping Note: We can ship swim diape..